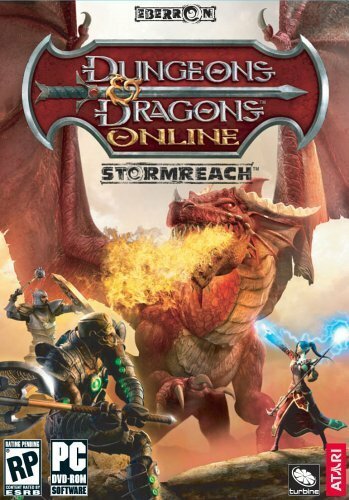 Dungeons & Dragons Online: Eberron Unlimited (abbreviated as "DDO") is a massively multiplayer online role-playing game (MMORPG) developed by Turbine, Inc.
and originally marketed as Dungeons & Dragons Online: Stormreach. Turbine developed DDO as an online adaptation of Dungeons & Dragons (D&D) based loosely on the D&D 3.5 Rule-set. It is set in the Eberron campaign setting. Internet access is required to play. DDO is a fantasy action role-playing game. Progression is defined by completing quests and leveling up. After creating an avatar on the character selection screen, players are required to go through a tutorial, which may be skipped after completing once. Players receive quests from non-player characters. After accumulating enough experience points through quests, the character is entitled to gain a level, which grants access to more feats, spells and skills. There are currently twenty levels in the game. Each module has added new quests and areas to explore.